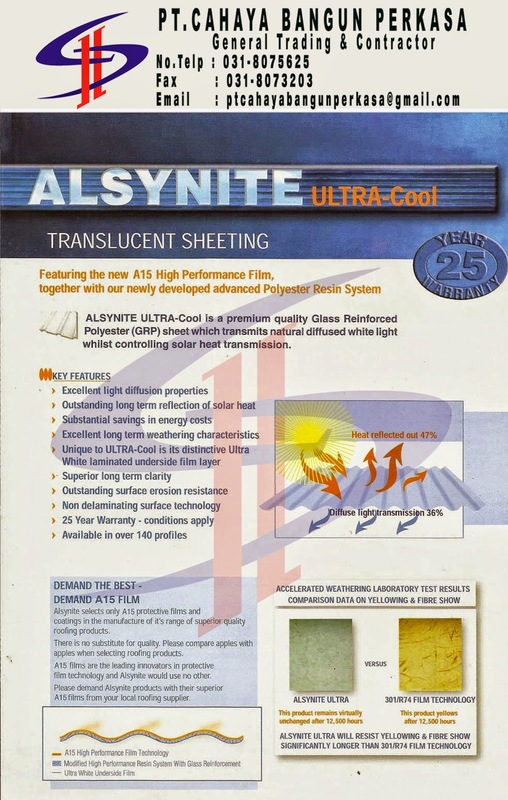 Atap Transparan Alsynite Ultra Cool is a premium quality Fibre Reinforced Polyester (FRP) sheet with all the qualities of ALSYNITE ULTRA but with the added advantages of controlled solar heat transmission. It is identified by its ultra white finish. 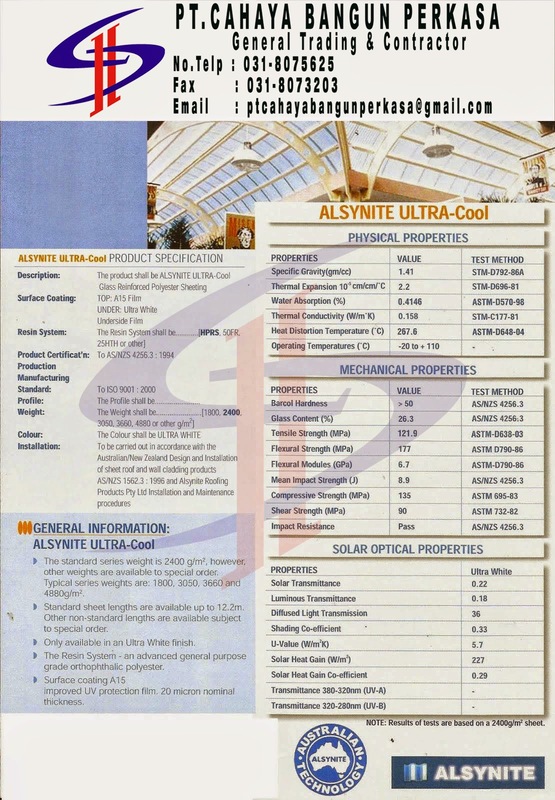 Atap Transparan Alsynite Ultra Cool provides an economical means of transmitting diffused natural light to the building interior, whilst at the same time reflecting unnecessary solar heat, resulting in substantial cost savings in lighting and cooling expenses.